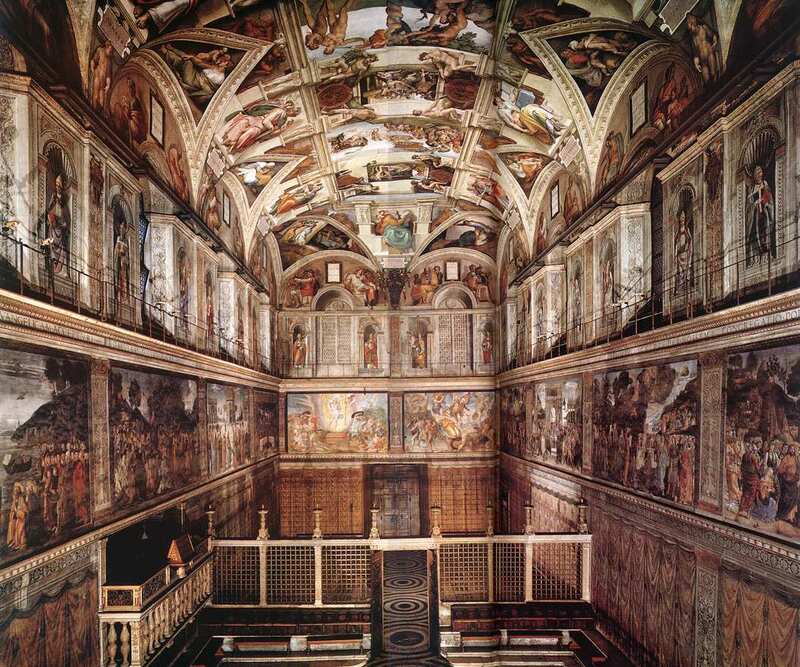 Will the upcoming papal conclave affect your visit to the Sistine Chapel? In a word: Yes. (Which, since the conclave is held in the Sistine Chapel, shouldn’t be surprising… even if it is disappointing!). The Sistine Chapel closed on March 5. It won’t reopen until the conclave has finished and a new pope has been picked. Which brings us to the next question: When is the conclave? Unfortunately, we still don’t know. It could be as early as Monday, March 11. It could be as late as, well, later than that (but probably by March 15 or 16). At this point, it’s all speculation. Disappointed that you won’t get to see the Sistine Chapel? We get it. But comfort yourself with the fact that at least you’re missing Michelangelo’s frescoes for a very historic reason: Not only are papal conclaves always a big deal, of course, but the last time a pope resigned, the year was 1415. So this is an especially historic event! (Check out our earlier post for more on exactly what a papal conclave really is and how it works!). Did you book a Vatican tour with us during this period? While we have lots of special access privileges to the Vatican, visiting the Sistine Chapel while the cardinals are in there, voting on the new pope, is unfortunately, not one of them! So email us at info@walksofitaly.com to find out exactly how your tour will be affected, and what your options are (including rebooking the tour for another date, or canceling it altogether for a full refund, including tickets—yes, at a loss to us!). Or feel free to call us at (202) 684-6916 (U.S. office) or +39 334-974-4274 (Italian office). Thanks for your understanding! We were there 1 year ago, it’s fabulous! It would be best seen laying on the floor because the art surrounds you, however it was very crowded and the guards would frown on people laying on the floor. Everyone should get the chance in their lifetime to see this wonderful piece of history and art. The acqua alta of Venice recently reached such heights (…or depths), it was all over the news. More than 70 percent of Venice was under water….